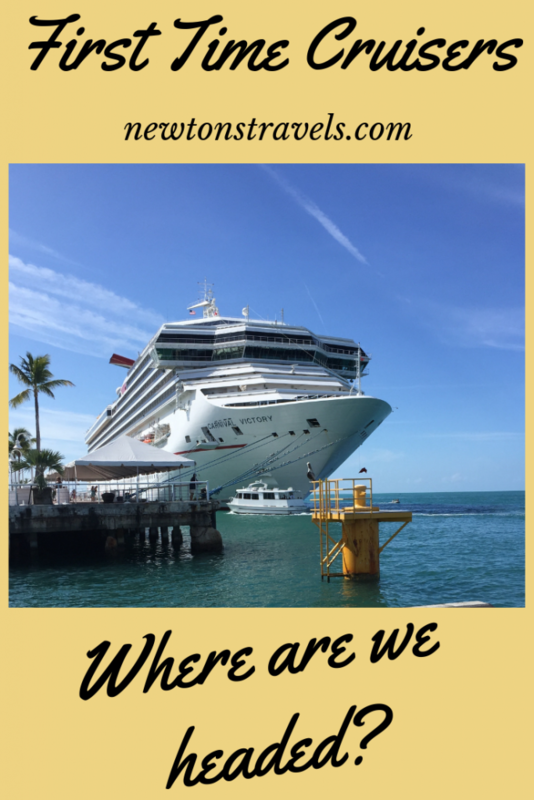 You are here: Home / Travel Talk / First Time Cruisers: Where are we headed? We Booked Our First Cruise! After researching for only 2 days last month, we went ahead and booked our very first cruise on Carnival. We will be leaving the Port of Miami and heading on a 4 Day Western Caribbean Cozumel Plus cruise NEXT WEEK. We were looking for a shorter time frame for our 1st cruise so thought 4 days on the Carnival Victory sounded perfect. I’ll share my “first time cruisers” research later but after scouring sites and cruise videos for tips, etc., I am almost positive there will be more cruising in our future. We especially want to go to the Mediterranean, Bahamas and more places for sure. Alisa told us to get our account registered on Carnival.com so we could plan the rest of our cruise. So we did. 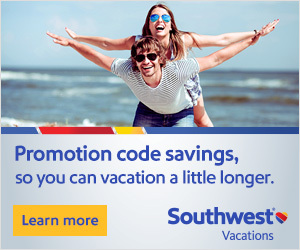 We chose to order water bottles for the room, the Bottomless Bubbles package (sodas only), the online value plan for Internet, prepaid gratuities (paid at time of booking) and the Faster Way to the Fun offer. She has been very helpful with all the ins and outs of Carnival and cruising in general. You’ll find her cruise tips videos helpful. I will say I didn’t go with my gut on this one or I would have chosen another cruise line so it shall be interesting to see how it all goes. We are really looking forward to this cruise. And to think we had not planned another vacation this year (we just returned from a big one in Hollywood, California with 3 of our granddaughter’s that I STILL need to write about) Kev was indeed ready for another get-away so told me to plan something by the end of the year. So that I did. We quickly booked our flights from Chicago to Miami. I did some hotel research over a few days and knew I wanted our first hotel in Miami before the cruise to be close to Bayside Marketplace AND the Port of Miami. Little did I know they were both incredibly close to one another. Bayside Marketplace is somewhere I went as a kid with my aunt and uncle when I would go visit them in Miami. He has since passed on but I want to see if the little Cuban restaurant they always took me to is still there. The place that looked closest to what I remember is called Mambo Cafe. We were already planning to fly in a day before the cruise so we just chose an early flight in and late flight out so we could spend more time in Miami on the front and back ends. When we return from the cruise, we want to hit up Ocean Drive, South Beach, etc. I found and booked YVE Hotel Miami for our first hotel before the cruise. I’m still on the hunt for the hotel when we return from our cruise. I’m finding that to stay in South Beach might just be out of our price range when it comes to hotels. So we’ll see how that all plays out. I have been watching tons of videos on cruise tips and it’s just getting more and more exciting. You should see the list of items people recommend to pack for a cruise. I know Kev would prefer if I could just pack a carry-on for a 4 day cruise (7 total days away) but that’s not something I want to stress about. 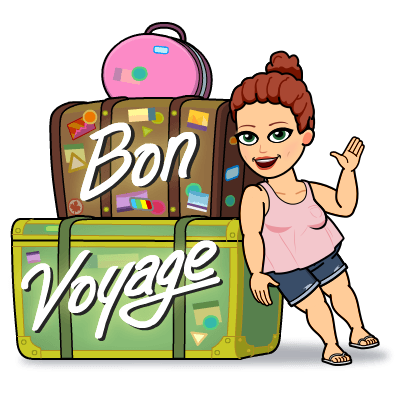 I will plan to have a change of clothes and PJ’s in my carry on just in case but I don’t think I’ll ever pack everything in a carry on. I’ll do a separate post on what to pack for a cruise once we have gone ON the cruise but for now this is the list of what people have said they take and the list that I had already started. waterproof bags for suit etc. I’m sure we are forgetting something and who knows if we will take everything on the list since it’s ONLY a 4 day cruise but like I said before I doubt this will be our only one so we’ll be prepared for the next trip! And on a side note this will be the first trip we have taken without our laptops. I might have a little anxiety over that but I don’t plan on doing any client work so I’ll be just fine with my iPhone and iPad. We did just splurge on some new carry-on luggage from Away so we can’t wait to use them. They look AWESOME and we’ll be sure to tell you about them. I posted a bit about them on our Instagram channel as you see above. Be sure to follow us there to keep up with our travels. Can you tell we are really looking forward to this trip? We are already talking about our next cruise and we haven’t even been on our first one yet. Too funny! Have you been on a cruise? What is your best tip?